Technology Partners Partnering Industry Leading Technologies. ScopeHosts is an authorized Litespeed NOC Partner. We can offer Litespeed at a unbeatable prices. We are official Softaculous NOC Partner. Softaculous is one of the leading automation script installer application. ScopeHosts will be Official NOC Partner by March 2017. We are processing the documention with cPanel. Our Partnership with Cloudflare, allow us to offer Free and Paid Services of Cloudflare at low cost. Now boost your websites loading speed and additional security with Cloudflare. We expertise in WordPress, a leading Opensource Content Management System. Millions of Webmasters, Small and Large Enterprise use Wordpress for creating as Official Websites or Personal Blog. Drupal is content management software. It's used to make many of the websites and applications you use every day. ScopeHosts servers are optimized upto best extent to support Drupal based websites and applications. Millions of websites are powered by Joomla. Joomla is Trusted CMS ready for mobile and user-friendly to build your website. Joomla! Is totally free and open source available with thousands of features and designs. Magento is leading most popular platform for eCommerce businesses today. Easy to customize and user-friendly make it perfect for beginners and well established sellers. ScopeHosts is #1 hosting provider for Magento Applications. ScopeHosts has been awarded with badge of “Excellence Service” By HostAdvice. ScopeHosts has been awarded with badge of “Great Uptime” By HostAdvice. Since 10 Years+ in Hosting Industry. ScopeHosts and Template Monster Partnered to Fulfill All Web Services and Needs of Your Business (including Web Hosting and Website Templates) with Exclusive Coupon Code. Fruitful Partnership – ScopeHosts + Updated Reviews. We are thankful to updatedreviews.in for describing our Services as a blog. Avail all the Seasonal and Festival Web Hosting Offers of ScopeHosts at Updatedreviews.in Using the Featured Promo Code. Solvent Partnership – ScopeHosts + Hosting Charges. 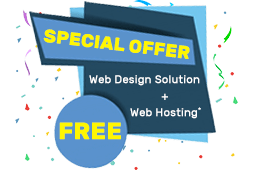 Grab ScopeHosts Offers on Web Hosting Services at Hosting Charges with the Special Coupon Code. "We have been using their dedicated servers for years as our production boxes. Never faced a downtime or issues till now. Upgrades were smooth enough. Highly recommended !." "I have been a Scopehosts.com client for about 2 years, and I am completely pleased with their service. After trying other hosts, I switched to Scopehosts.com"
"From past 1 year I am with scopehosts, I have been using their VPS Hosting services. Their Support and Services have been fabulous, Top-Notch and Friendly."